On numerous occasions the possibility that Facebook launched its own service job was news many times... but until yesterday the job portal Facebook did not come true. 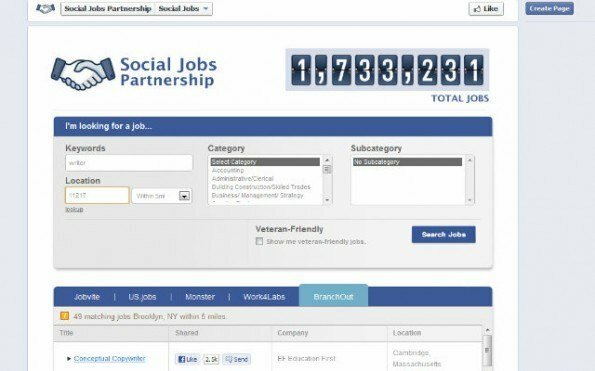 Yesterday, the social network introduced its new Social Jobs application , which can be considered as the largest ever launched against cracking LinkedIn. Surely many in the professional network have become concerned at the launch that has made Facebook. For now, the application, which was developed through an agreement with the Department of Labor of the United States, list jobs online working pages "traditional" as Monster.com, Branchout and Jobvite, with which Facebook has established agreements. As stated in the application itself, the intention is to connect great candidates with great jobs. Currently there are over 1.7 million jobs already available in the Facebook application.